The age old adage “little drops make the mighty ocean” is pertinent in the context of automation. Why? Every little ‘drops’ of cost add up to huge cost overheads. Most often, organizations leave no stone unturned to gain their market share with the ultimate objective of enhancing profit growth and shareholder returns. That’s great. However, in the midst of this tight race, organizations inadvertently loose the sight of spiraling costs arising out of avoidable processes and easily automatable processes. Such costs literally negate the increased business development efforts. Our Automation Analysis and Solutions enables organizations to concentrate on their core businesses whilst we conduct a thorough process analysis and recommend automation and/or alternative processes. 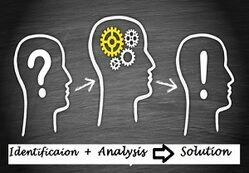 Automation analysis and solutions is certainly a part of our larger Business Process Optimization solutions. However, we have chosen to list the same separately based on our experiences with some of our customers who opted only for the narrow space of process automation solutions.